Given the liberals were the party that “opposed” privilege after Gladstone-that is the party that opposed “artificial” distinctions what did this mean in terms of policy and support? There were a few issues on which the party was untied against most or many conservatives. They were united in opposition to Protectionism with all the distinction that implied (including a tight vision of the empire and the rates of tariffs themselves) the liberal party indeed - all defectors from the conservatives in this period indeed were free trade (ironically including at least one mp who was also a fanatical anti-Catholic). Not surprisingly given the intensity of the split of 1886 just about all liberals afterwards were liberals who could at least accept Home Rule. Similarly the great achievements of Gladstone's ministries from the professional civil service to a high franchise including more or less all non pauper heads of house hounds held them together. However on other issues as we shall see there was an almost bewitching diversity right up to World War 1 - some liberals were more free market than Gladstone himself while others were essentially free trade socialists, some hated unions while others loved them, some embraced women's suffragee while others backed pamphlets declaring it "a national danger" some called for the abolition of the empire others for it's expansion including by war, most were quite sympathetic to at least an extension of disestablishment while others regarded their highest duty in politics to support Protestantism and so forth. However on the Great Cleavages of British Politics they consistently leaned on the side that gave less "privilege". So as a whole they were more opposed to imperialism and sympathetic to dissenting nationalism, less sympathetic to the military, more relaxed about immigration, more opposed to established churches., more opposed to landowners and so forth. As already mentioned trade union reform was one area they found hard to assimilate – no doubt why it produced the only new party in this period.. However the fact they were more inclined to particular positions did not mean they too them- liberal governments made no move to disestablish the Church of England or relax immigration laws for example-there was just more opponents of the Church of England’s establishment among liberals than Conservatives. However where positions was more popular with them than with the Conservatives a dislike of "privilege" and distinction of one sort or another generally can be seen behind.. For example they were more supportive of female suffrage (though their leadership terrified that women would vote conservative was more sceptical. This is even true for issues which at first glance would seem to have nothing to do which such an agenda.. Take the drink trade- the liberals were the party that included the large majority of the supporters of restriction and prohibition of alcohol. This is often seen as just reflecting their support base (of which more latter) but I think it actually was natural ideologically as well-alcohol can easily be seen as form of distinction-and the industry itself could be seen as using a poison to give themselves unfair advantage and to lower their consumers below the norm. The same was true in taxation. It may struck the reader as odd that the liberals concentrated so much of their taxation on land taxes (rising and receiving a ferocious rural backlash) and inheritance taxes (at least today one of the most unpopular tax-though only a minority of the population paid or pay it). But they fitted in well with notions of privilege, many liberals were obsessed with the notion of a "social surplus" that in some way had been acquired- land could be see in the words of the radical song "the land" as a stolen propety given as the result of priviledge. With a ballot in our hand? God gave the land to the people." Protectionism could rely on no such defence. In a sense the liberal coalition were those groups who responded well to these appeals. Those who opposed the privileges of the established churches were very liberal-and the more fervent the opposition the more solidly Liberal. Weslyan Methodists for example tended to be rather less liberal voting than others Catholics (in mainland Britiain) were nearly all supporters as were Quakers. This was reflected in and shaped regional voting patterns-bastions of "dissent" whether in rural Wales the Western Isles or Cornwall were also bastions of the liberal party -as were heavily Catholic areas (though Catholics seemed to have more success in mobilizing Protestants of al stripe to vote Conservative in hostility).Professional Free Thinkers (as opposed to those who were merely not pious) tended to be strong liberals for example Brandlaugh the militant atheist whose dissenter heavy constituency continually re-elected him when expelled from parliament- (in the end the Speaker gave in) .. In this he was backed by Gladstone ( who loathed both atheism and Brandlaugh's pro Contraception views) on the grounds of dislike of "privilege" among faiths. Haters of drink (demographically a very heavily overlapping group non Anglican Protestants being the bastion of abstention in this era) similarly tended to be Liberals. Those who benefitted from free trade or would not suffer from inheritance tax or land taxation. Self employed workers without much property were much more liberal than the national average-as it's image of helping the unprivileged and autofocus fitted in so well with the party. This led to a politics where the regions of the country differed a great deal in voting behaviour but the classes while distinct were much less so particularly away from the very top of the income spectrum-. By the mid 20th century by contrast the Tories new opponent- Labour would (outside Ireland) be fairly hough not overwhelmingly competitive throughout the regions of Great Britain but have it's voting base massively correlated with class. The Politics of Privilege meant voting was much more based on sectarian alignment, trade patterns and attitude to the nation than it was to be in latter years. 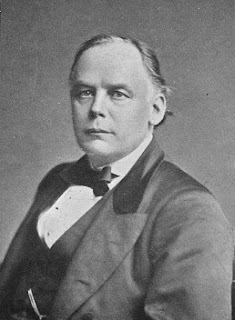 The Picture is of the aforementioned Charles Bradlaugh- a passionate liberal who hated both Socialism and Conservatism alike. Am not surprised the Liberals were the more divided of the two major parties, given that they were the more left-wing of the two. The Left is, to my mind, inherently going to have more differences of opinion since it aims at political change and social change whereas those who want to defend the existing social order will not have as notable differences on such a wide variety of policies. I see your point about the regional divide in party support, but I do think that there was a strong ability of both parties to expand outside their 'base' regions. The swings in terms of seats in 1895 and 1906 were far greater than those we saw in the 1945-97 period. The Liberals were able to more than double their number of seats from 1900 to 1906 (from 183 to 397 seats). I half agree with your point in thefirst para at least in context-but not so sure about it moregeneraly. The right can often support social change-I do think generaly it tends to be more cohesive- maybe because the groups in it tend to be more so as the right tends to represent the "mainline" and the left those groups alienatedfrom it- so in Spanish civil war Secular manufactors, workers and Basque regionalists were on the "left" but had little in common. The Regional divide was defintly not immutable- sorry for not getting back on the swings earlier. I think your earlier point that this was parlty becuase issues changed is part of it. But my recollecion is the actual change in % of votes is not that great from election to election-the big differences is as there were only two parties essentially (labour being an ally most of the time of the liberals) you simply got a much bigger swing in seats- the same way as the US electoral college swings so sharply today on small changes of the vote. About the Right supporting social change, I am not sure that is the case in that many situations. In fact what I think was odd about Thatcherism is that the Conservative party became ideologically more market-liberal. Before that, it had been more pragmatic. Anyhow, I would make the point that the Left - because it tends to represent various groups which are disadvantaged by the status quo - will generally be more divided and, because it tends to have more of a taste for ideological disputation, have more internal debates. Cross-nationally, I would argue that this does tend to be the case in a lot of countries. In Canada, the 'left' (defined broadly) consists of both the Liberals and the NDP while the Conservatives are now the hegemonic party of the Right there. In France, there are lots of parties to the left of the PS but the UMP dominates the Right. The CDU/CSU dominates the Right in Germany, whereas the left is divided between the SPD, Greens and the new Left Party. In Italy, Belusconi has now created a hegemonic party of the right whereas the left is divided between the Democrats, Refounded Communists etc. Of course, in other countries, there is only one big party of the left - but those countries also tend to only have one big party of the right too [e.g. Spain with PSOE dominating the left and the PP dominating the Right or the US]. In terms of the regional divide, a two-party system doesn't mean bigger turnovers in seats under first-past-the-post unless a party's support is fairly evenly spread nationally [hence that regional divides aren't that big]. The US electoral college is a bit of an unusual example because it tends to be multi-member state level elections. A state will tend to have both left-wing and right-wing areas. Lumping them together means that, if one side gains a few votes, it can flip the whole state. This is not so much the case with single-member seats. If all states elected their electoral college delegates in individual districts (like Maine and Nebraska do) there would be smaller swings in electoral college results.